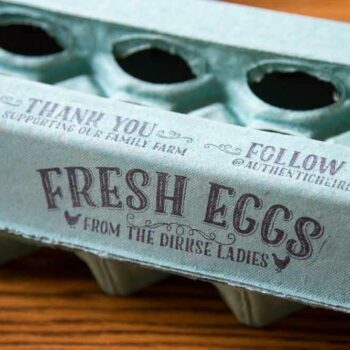 Our Follow Us stamp is a great way to get your real-world customers to connect with you online. These stamps are customizable with your website or social media handle (we can also specify the social network that you’d people to find you on). 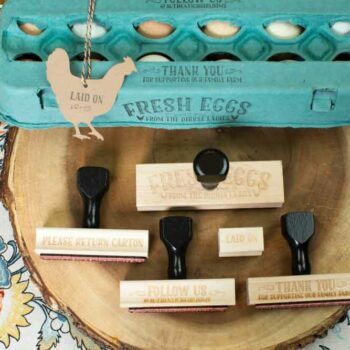 This stamp is coordinated with our customizable egg carton stamps too, so you can have consistent branding on your egg cartons and other products.